Immigration Attorney - The Law Office of David K. S. Kim, P.C. On February 14, 2011, David K.S. 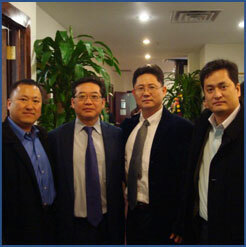 Kim founded the Law Office of David K. S. Kim, P.C. as a full-service law firm providing comprehensive legal services for all matters related to immigration and nationality law. He understands what you are going through because he emigrated from Korea to the United States when he was 16 years old. David K.S. Kim represents individuals, families and businesses in immigration matters. He is dedicated to the highest level of advocacy and ethical standards, and believes in hard work and exceptional client service. In every case, David K.S. Kim works toward the successful completion of your immigration goals. The Law Office of David K. S. Kim, P.C. has successfully represented individuals, families and businesses throughout the United States and in the world, including tri-state area of New York, New Jersey and Connecticut and including the boroughs of Manhattan, Queens, Brooklyn, the Bronx and Staten Island. Click here to view examples of Attorney Kim's successful cases. When you need help with an immigration matter, contact the Law Office of David K. S. Kim, P.C. to arrange a consultation. Attorney Kim speaks English and Korean.